G.I’s at Battle of Đắk Tô, Vietnam, November, 1967. On November 3rd, 1942 eighteen thousand Jews were shot dead in Majdanek, Poland. Rounded up in groups of 100 they were lined up beside trenches and murdered. It seems hard to believe, then you may remember and wonder over what happened last week in Pittsburgh. This next photo is Flight Officer Cliff Horncastle in his P-40. Shortly after this photo was taken, he was killed in a crash on takeoff at Tangmere, South East England, on November 3, 1942. Rest easy. The HMS Sceptre on return to the Holy Loch, Scotland, Nov 3rd, after patrolling Norwegian waters in the North Atlantic. The ‘Yank’ magazine cover, November 3rd, 1944. A Greek soldier poses on the ruins of an Italian tankette (Carro Veloce – cv33) at the Battle of Elaia-Kalamas, Greece, November 3rd, 1940. 12 responses to On This Day…November 3rd. One always wonders how something like Majdanek could happen, but now we get daily lessons in how it happened. Tom, at Majdanek alone, 60,000 Jews (known by name, not an estimate) were murdered. The fact that such things still happen (regardless of scale) with women, children, and men gunned down in 2018 is utterly unacceptable. It is a stain on our species. It helps to believe in and practice democracy… which is a fragile commodity. 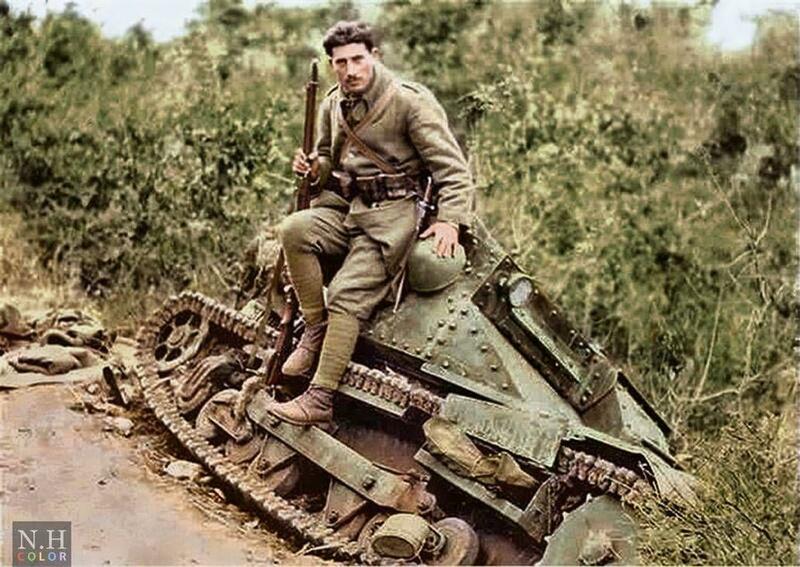 After the photographer took his photo, the Greek soldier put the tankette in his pocket and went home. 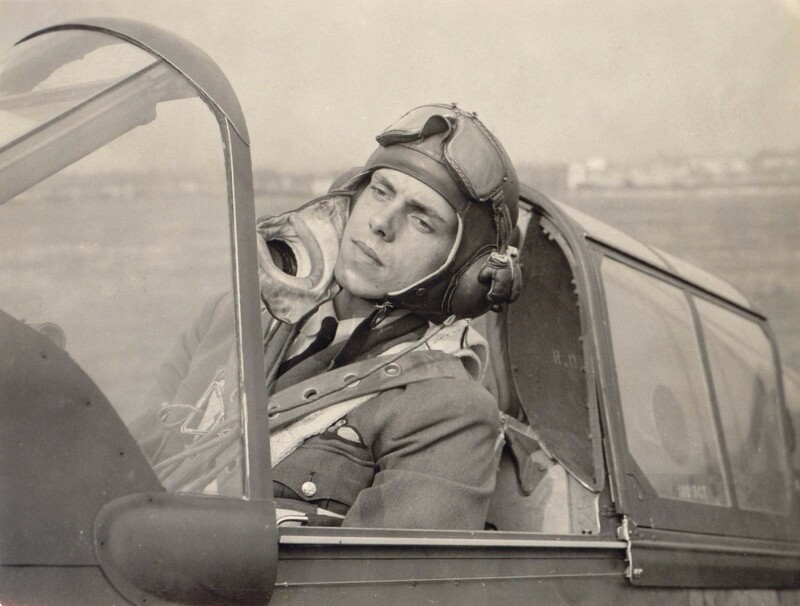 Flight Officer Cliff Horncastle story reminded me of a family friend. My grandfather was mechanical engineer and safety inspector for midget cars speedway on Saturday nights (1950-60s). At home, many a Sunday, saw these cars being tweaked by my grandfather. One racer befriended my parents and regularly shared a Sunday roast with us. One Saturday night, at the speedway, he got killed. We were all in shock. One day here, the next day . . .
We have such a fragile grasp of life yet feel so permanent. Death is with us every step we take but rather than fear it, it should be a reminder to embrace life. A difficult lesson and the biggest enemy in doing so is complacency. Why do we still refer to the people murdered by the German army by there religion ,”18,000 Jews” shouldn’t we just say “18,000 innocent people”…….. I really understand your point, Neil, but being Jewish myself that one slipped under the radar – it resonates in an extraordinarily deep way that they were actually murdered because of their religion and no other reason. That’s an incredibly good point Dave , but they also murdered political rivals, Gypsies (or should I say Romanies ?, I’m not sure) people suffering from mental illness ,Homosexuals and anyone else they didn’t like, the German army / government under Hitler were nothing more than criminals and murderers they just happened to have a particular hatred for the Jewish comunity more than the others…..
Ah…Sunday morning (well, here it is, anyway). “I love the smell of pancakes in the morning”. Thanks for checking in, Neil, always good the hear from you.